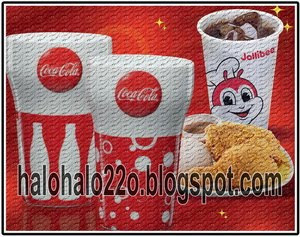 halohalo22o: NOT YOURSELF WHEN YOU ARE HUNGRY? 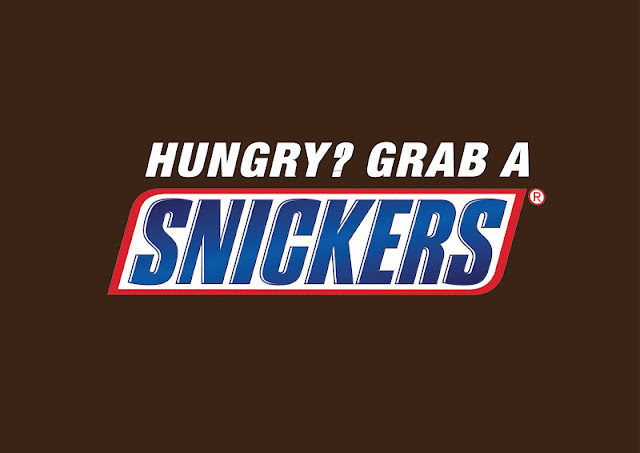 SNICKERS® SATISFIES HUNGER! NOT YOURSELF WHEN YOU ARE HUNGRY? SNICKERS® SATISFIES HUNGER! Manila, Philippines, 13 April 2012 – Have you ever felt that hunger has sometimes changed you into someone else? “You’re not you when you’re hungry!” said Lizette de Guzman, National Sales Manager of MARS Philippines Inc.
SNICKERS® today launched its newest campaign In the Philippines, dubbed “You’re not you when you’re hungryTM,” a concept which was developed behind universal insights that hunger makes a person weak and behaves differently, ultimately affecting the people around us and our performances. The campaign runs simultaneously in two other countries, Malaysia and Singapore. 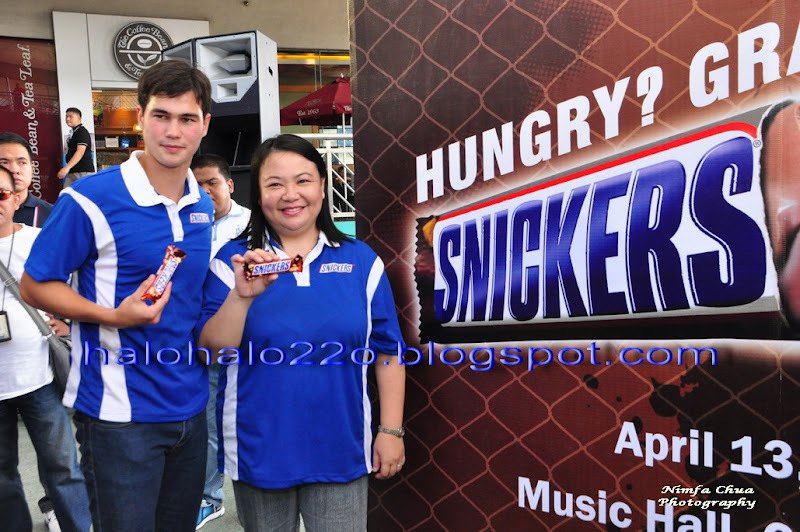 “You’re not you when you’re hungryTM” is another innovative ad campaign that brings out the benefit of SNICKERS®, especially for the Filipinos; that it is a substantial bar that combats hunger to keep you going while satisfying their sweet tooth,” explained Lizette. Gracing the launch at the SM Mall of Asia Music Hall are Azkals Skipper Aly Borromeo, Striker Phil Younghusband, and Midfielder James Younghusband, as they can very well attest to how as an athlete, they need their bodies to be at the optimal condition to perform at the highest level. “Crammed with roasted peanuts, caramel, nougat and coated with milk chocolate, SNICKERS delivers a delicious and substantial chocolate bar that combats hunger to keep you going. These have been the reasons why SNICKERS® has remained one of the planet’s favourite treats. In Philippines, SNICKERS® Peanut 55g is the best selling single unit bar (ACNielsen Retail Audit, MAT December 2011 – single unit within bar segment, Imported Chocolate segment, Philippines). The campaign hits the Philippine shores with the launch of a new television commercial (TVC) and an online contest. 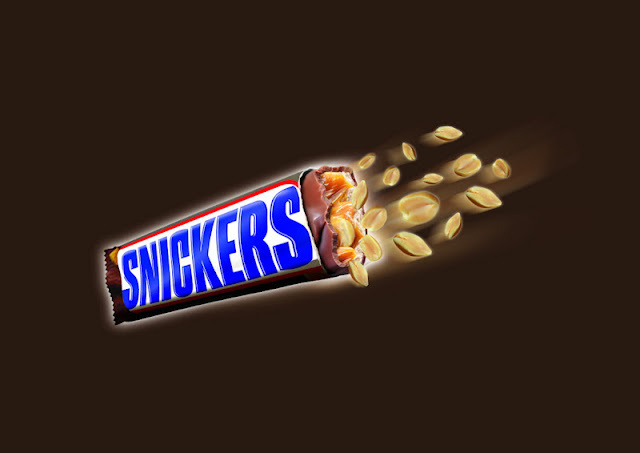 From April 1 to May 15, 2012, the SNICKERS® “You’re Not You When You’re HungryTM” online contest will see all three countries—Philippines, Malaysia, and Singapore—challenging each other to come up as the top winner. 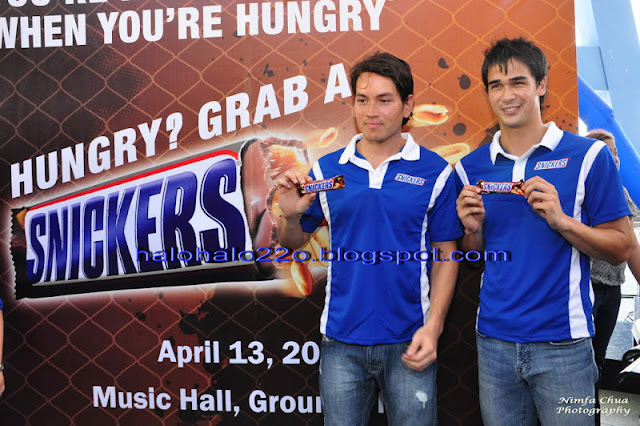 Participants of this contest can upload their hungry faces on SNICKERS® facebook page at www.facebook.com/SnickersPhilippines. The country with the highest number of participants will win six months supply of SNICKERS® for a prominent football club or team, while the other two countries will win three months supply of SNICKERS®, also for a prominent football club or team. 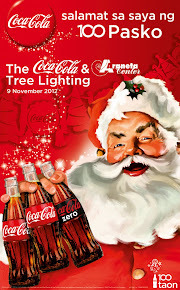 Participants will also stand a chance of winning prizes for themselves. Four Special Prize winners from each country will be selected based on the most creative entry photo, each will receive a combination of USD300 cash and 100 bars of SNICKERS®. At the end of the contest, a Grand Prize winner will be selected for each country. These ultimate winners stand to fly to Poland with a mate to catch the European Championship 2012 match live! "As the saying goes, ‘A hungry man is an angry man.’ So don’t let hunger turn you into someone else. Just let SNICKERS® perform its way in satisfying your hunger and keep you going. But most importantly, to let you be your usual self again,” said Lizette. 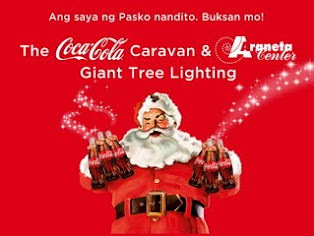 Coca-Cola Christmas Caravan and Araneta Center Giant Tree Lighting. Ito Na! Coca-Cola Mismo 300ml. Happiness Ambassador Enchong Dee showing his own Coca-Cola Christmas Tumbler. 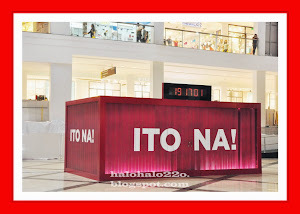 Ang Saya ng Pasko nandito buksan mo! halohalo22o. Awesome Inc. theme. Theme images by molotovcoketail. Powered by Blogger.